The seasons of life move through cycles that correspond in intriguing ways to the seasons of the calendar year. Donna Huisjen’s 366-day devotional, offered in four installments called Seasonings, provides compact daily meditations that will accompany Christians as they step through the year. 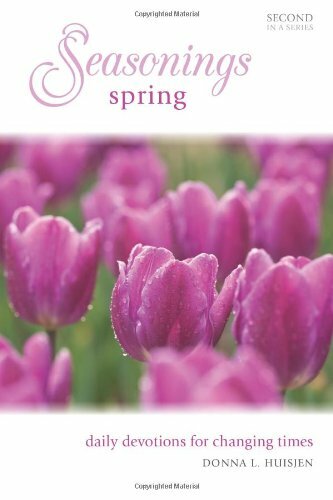 Giving the nod both to seasonal realities and to the milestones of the church year, Huisjen showers her writing with pertinent quotations and personal anecdotes. By turns poignant and thought provoking, Huisjen covers a wide range of topics each anchored in the Scriptures.